Gum disease is serious business. Also known as periodontal disease, it is the most common dental problem adults suffer from. Three out of four adults have some degree of gum disease. That’s 75%! Not only does gum disease affect the gums, but it can worsen significantly if left untreated, potentially resulting in tooth loss. From discomfort to more dire situations, gum disease is prevalent and problematic. But it’s not hopeless. And we’re here to help. Here’s what you should know about gum disease, from the various telltale signs to the ways Drs. Barry and Love can treat you in a timely fashion. If gum disease is not tended to before the damage has gone too far, the repercussions can travel throughout the body – from respiratory illnesses to heart disease to diabetes to fatigue to problems with the jawbone, even to premature birth and/or low birth weight for women who are expecting or who plan to become pregnant. Help! How can I tell if I have gum disease? What are the signs and symptoms? There are a number of signs you should look out for that may indicate you have gum disease. You may see one or two of these common signs listed below or suffer from them all. The severity of each symptom varies from patient to patient, so do not neglect even the slightest indicator of potential gum disease. The earlier you are seen and treated, the better off you will be. Isn’t it normal for gums to bleed a bit during brushing and/or flossing? The short answer…no. Gums should never bleed. Bleeding gums are a sign of irritation (possibly infection) and can lead to serious problems that go way beyond your mouth if left untreated. You could be at the start of something that will only get worse if you begin to see your gums bleed, even just a bit. This mild form of gum disease is called gingivitis. It could lead to further disease developing, so speak to Dr. Barry or Dr. Love about this at your next appointment. If my gums are bleeding during brushing and/or flossing, should I stop brushing and/or flossing? Brushing is essential, as is flossing. Do not disrupt your routine, because not brushing could make matters even worse. What you should do is schedule a dental checkup as soon as possible, and we will treat your gums and provide you with gum disease prevention tactics. It could be that you’re just brushing too hard or improperly. This could cause gums to bleed. We’ll figure it out and go from there. Is there anything I can do to prevent getting gum disease in the first place? ng you in a predicament. 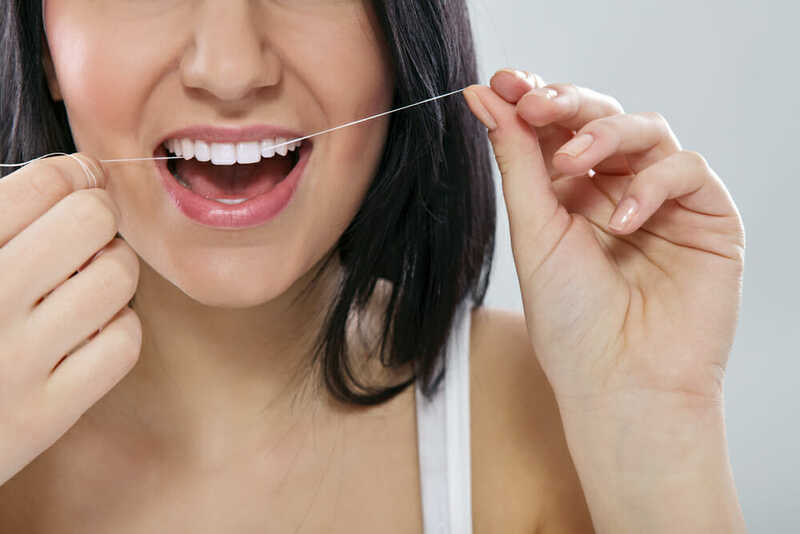 The deep cleaning we can do along the gum line and a thorough in-office exam will ward off disease, keep your mouth fresh and clean, and keep us abreast of any abnormalities along the way. 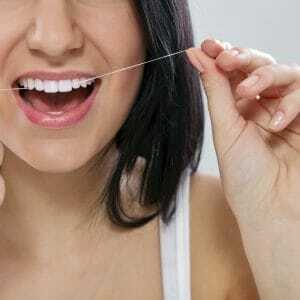 The removal of plaque and tartar, as well as food debris and bacteria will make gums healthier. The process is relatively pain-free, but if your gums are severely tender or highly inflamed, we can discuss the option of numbing the area before deep cleaning. Our goal is to make your appointment as comfortable as we can. If I do not show any signs of gum disease at my regularly scheduled cleaning, do I need to follow up? 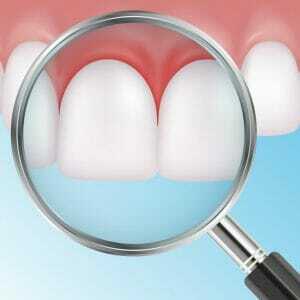 No signs of gum disease is naturally a great thing, but it does not mean you are in the clear forever. As aforementioned, three out of four adults suffer from gum disease at some point in their lives. The odds aren’t in your favor, sadly to say. So, keep coming into the office for your regular checkups and take care of your oral hygiene at home. If you have questions as to how to properly care for your teeth and gums, let’s discuss during your next visit. Gum disease is common, but it doesn’t mean it’s something you should take lightly. Drs. Barry and Love can help with the proper preventative care and treatment if needed. Your gums will be as healthy as can be, allowing you to flash a smile you can feel good about.